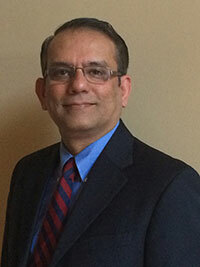 Dr. Soman’s research focuses on the use of radionuclide-based imaging techniques in cardiac diseases, particularly heart failure. Current interests include the use of myocardial SPECT imaging for left ventricular dyssynchrony assessment, an area in which his group has contributed seminal work (Mati Friehling, Young Investigator Award, ASNC 2010; Saurabh Malhotra, Young Investigator Award, ASNC 2013). Budoff, M, Raggi P, Beller G, Berman D, Druz R, Malik S, Rigolin V, Weigold W, Soman P. Noninvasive Cardiovascular Risk Assessment of the Asymptomatic Diabetic Patient: The Imaging Council of the American College of Cardiology. JACC Cardiovasc Imaging. 2016; 9(2): 176-192. Shah N, Cullen M, Cheezum M, Julien H, Sivaram C, Soman P. Current state of advanced cardiovascular imaging training in the United States. JACC Cardiovasc Imaging. 2015; DOI: 10.1016/j.jcmg. Soman P. What’s in a name?. J Nucl Cardiol. 2016; 23(2): 173. Berman D, Rozanski A, Soman P. Value-based cardiac imaging and the imaging expert. JACC. 2015; 66: 2563-2568. Harris D, Wong T, Soman P. Direct visualization of regional cardiac sympathetic dysfunction in stress induced cardiomyopathy. Journal of Nuclear Cardiology. 2015; 22(6): 1317-1319. Soman P. Adapting to a changing healthcare environment. JACC Imaging. 2014; 7: 854-855(ImagingCouncilchairman'spage). Malhotra S, Ravi S, Kliner D, Follansbee W, Soman P. Relationship between silent myocardial ischemia and coronary artery risk factors. Journal of Nuclear Cardiology. 2013; 5: 731-738. Ludwig D, Friehling M, Schwartzman D, Saba S, Follansbee W, Soman P. On the importance of image gating for the assay of left ventricular mechanical dyssynchrony using SPECT. Journal of Nuclear Medicine. 2012; 53: 1892-1896. Friehling M, Chen J, Saba S, Bazaz R, Schwartzman D, Adelstein E, Garcia E, Follansbee W, Soman P. A prospective pilot study to evaluate the relationship between acute change in LV synchrony after cardiac resynchronization therapy and patient outcome using a single-injection gated-SPECT protocol. Circulation CV Imaging. 2011; 4: 532-539. Soman P, Dave D, Udelson J, Han H, Ouda H, Patel A, Karas R, Kuvin J. Vascular endothelial dysfunction is associated with reversible myocardial perfusion defects in the absence of obstructive coronary artery disease. Journal of Nuclear Cardiology. 2006; 6: 756-760.